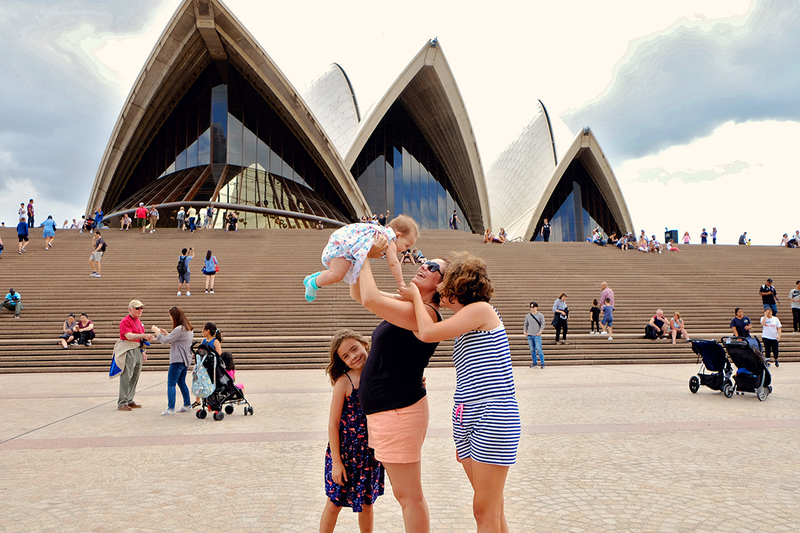 Sydney is a perfect destination to travel to with kids. We always enjoy our family holidays in Sydney, Australia. There are so many different activities, attractions, and sights that are kid-friendly. 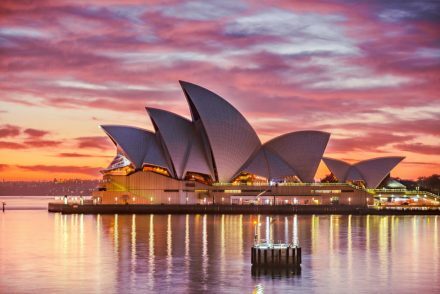 From Sydney Opera House being one of the most influential 20th-century architecture to the beaches of the city sprawling several miles, the options are too many to miss. 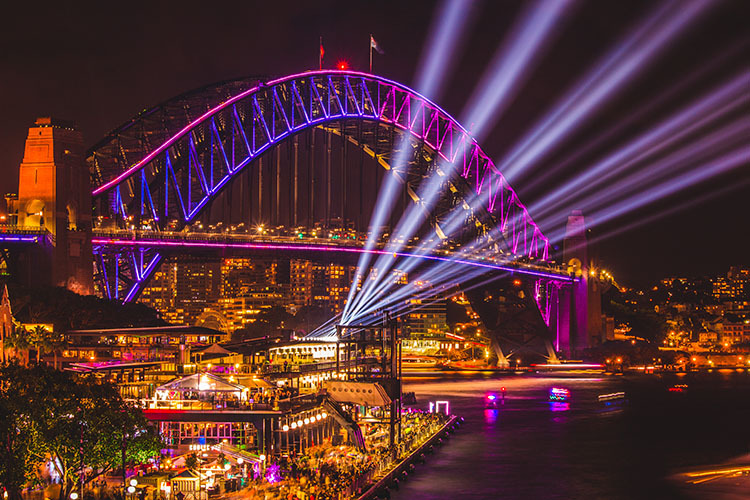 Some of the most popular kids’ activities in Sydney include Luna Park, the museums, Ice skating rinks and the famous Vivid Sydney festival where the entire city comes to life are sure to get the fun times rolling. Here are some ideas of the best family activities in Sydney. Check them out! Below you will find two main section. The first section will focus on the paid activities in Sydney for kids, whilst the second section will contain recommendations of free things to do in Sydney for kids. Below you will find our list of what to do in Sydney with kids that will cost you a bit of money. Keep reading to find some free activities for kids in Sydney to add to the mix as well. What is exciting is the fact that can see most of Australia’s native animals in Sydney itself! 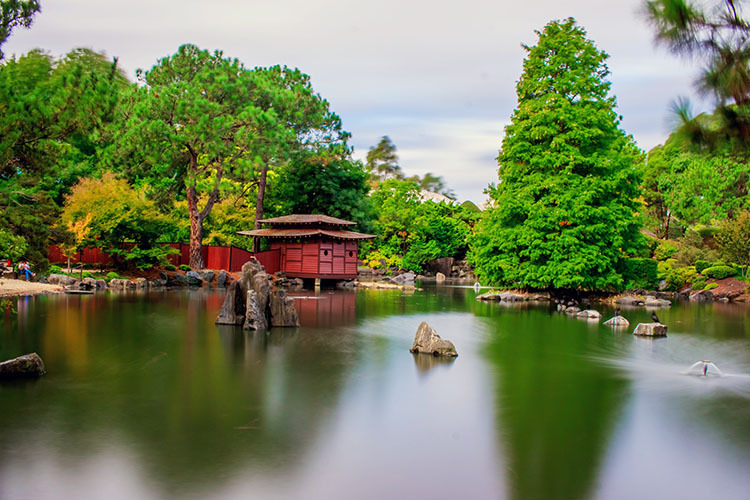 Located across the city are various farms, zoos, parks, and sanctuaries. 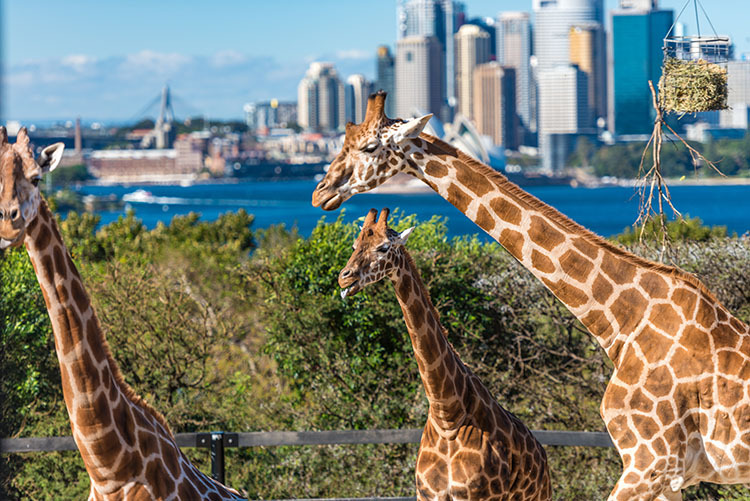 One of the top things to do with kids in Sydney is to visit the iconic Taronga Zoo; it houses different animals from different parts of the world. And of course, it boasts of an incredible view of the city for your family to enjoy. Finally, off the coast of Sydney, your kids can spot and enjoy migrating whales which travel across the Indian Ocean to come to the continent’s shores. We all know that not everyone has the heart to dive straight into the deep blue sea to explore its wonders, I know I don’t. And this is where the Sea Life Aquarium comes to our aid. It has the world’s largest collection of Australian aquatic life. From sharks and dugongs, to stingrays and seahorses, you can discover 14 themed areas with your family on a journey through the aquarium. And if you’re willing, you can get up close and personal with the mighty sharks! In our opinion, the best part of the aquarium is the long tunnel park. Imagine all the wonders of the sea and its magnificent creatures, but behind the safety of a glass. This would be an experience that your kids will never forget. 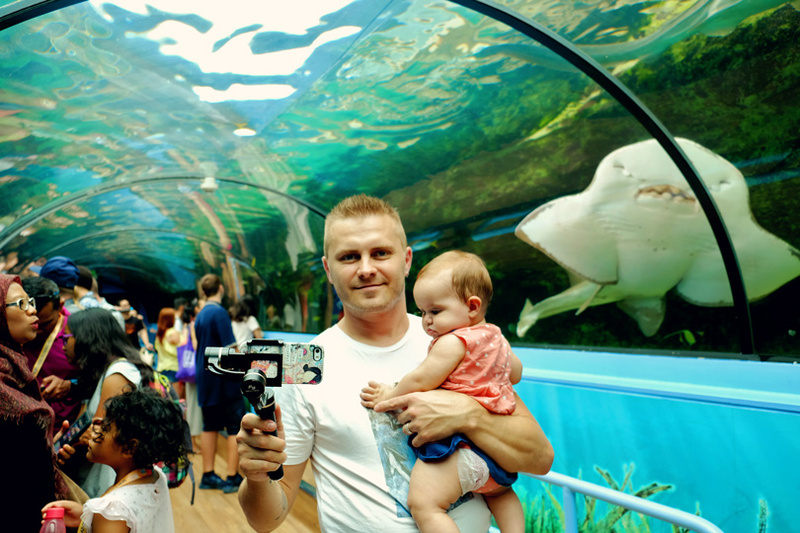 The Sea life Aquarium is pretty large in size and can get pretty busy over weekends, if you have younger kids, you might prefer to visit the smaller Manly Aquarium instead. 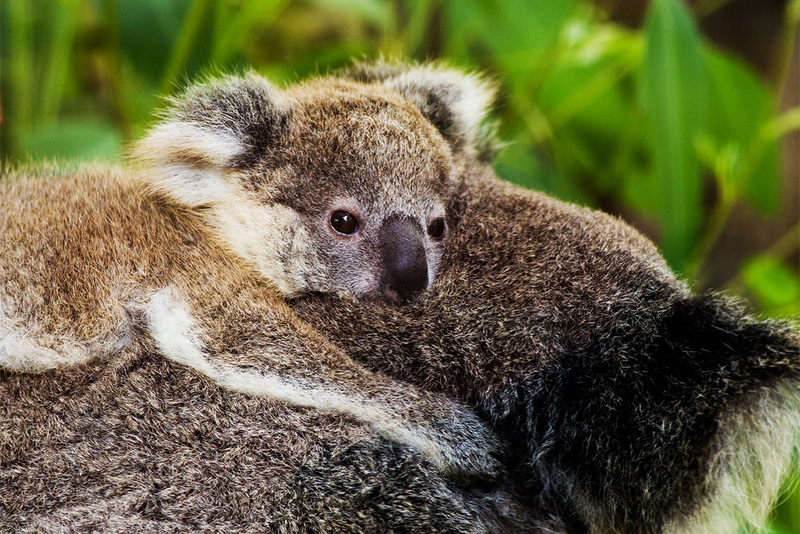 The Featherdale Wildlife Park offers you a chance to meet the koalas, hand feed the kangaroos and watch the Ngukurr, largest living reptile species native to Australia. Sydney kids activities don’t get any better than being able to touch wildlife! The location of the park is ideal as it is situated in Sydney’s western region and lies on the way to the World Heritage Listed, The Blue Mountains. The park is open daily from 9am to 5pm. It also has cassowaries and quoll breeding precincts which will allow you to watch these endangered animals up close with your children. Don’t worry; a guide is always available to be with you at every step of the way. After watching the wombats, echidnas, and owls in these precincts, you can head straight to the souvenir shop to enjoy your lunch and tea. A train station or a bus stop isn’t far either. What do you do when clouds interrupt clear blue skies and it starts to rain? You head to a museum and let the artifacts and fossils take care of your time. Some of the museums that you would enjoy exploring with the kids are the Discovery Museum, Living Museums, Rocks Discovery Museums and the Jewish Museum. While you’re at it, do not forget the Museum of Fire. This museum deserves a special mention for the simple reason that it was the first public museum in Australia’s history. Its huge collection is dedicated to natural history, dinosaurs, the indigenous Australians and the unique wildlife of the continent. Open from 9am to 5pm, the museum has 10 complete dinosaur skeletons and offers behind-the-scenes tours and plenty of activities for children. As for adults, you wouldn’t want to miss the Menagerie, a contemporary sculpture exhibition. It features established and emerging Aboriginal and Torres Strait Island artists, who have produced exceptional sculpture works of various native animals. 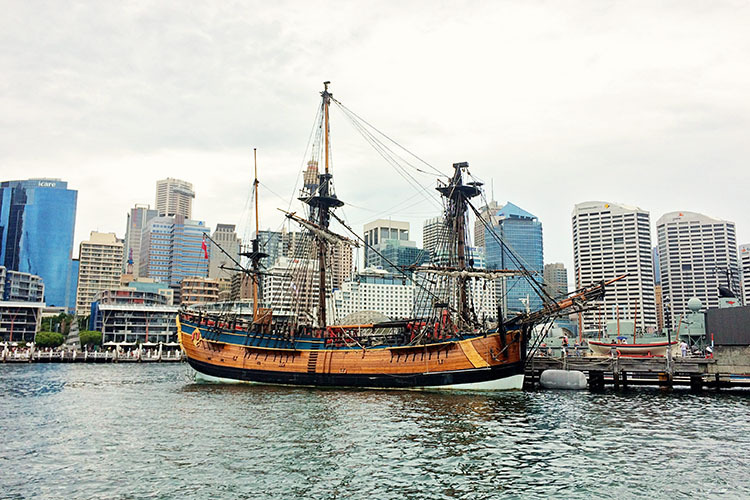 Have you ever had the chance to sail aboard 18th-century ships? At Campbell’s Cove situated in The Rocks, you get a chance to do the very same. There are numerous cruise ships here. The only difference is that these ships are artifacts from history and yet operational, with mast and sails still intact and the wood carefully preserved. Children wouldn’t want to miss the adventure of a lifetime. Why? Because it is not often that you can help the crew hoist the sails and watch the canvas fill with wind. A qualified crew will even help you in climbing the mast and present a unique view to you and your kids. 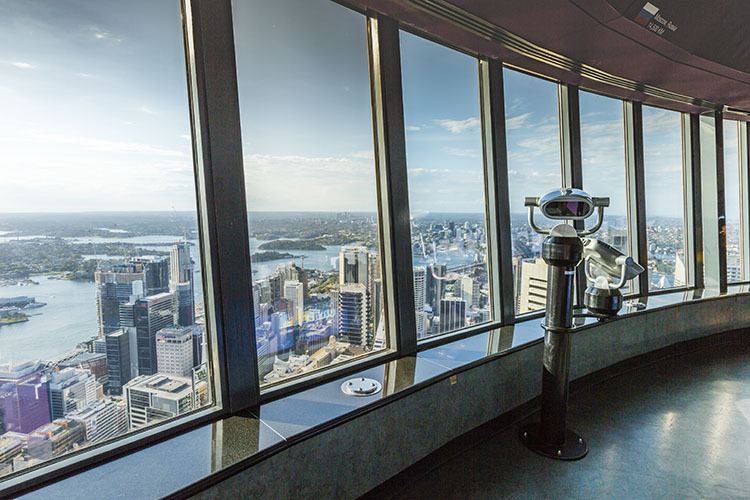 For $18 an adult and $11 a child, you can go to the top of the Sydney Tower, the city’s tallest freestanding structure. It stands at a mighty 1,014 ft and has an observation deck with a breathtaking view of the skyline. And for a few extra bucks, you get to take your kids on a walk of a lifetime. The Sydney Tower skywalk which is almost 900 ft above the city streets has a glass floor to look down through. 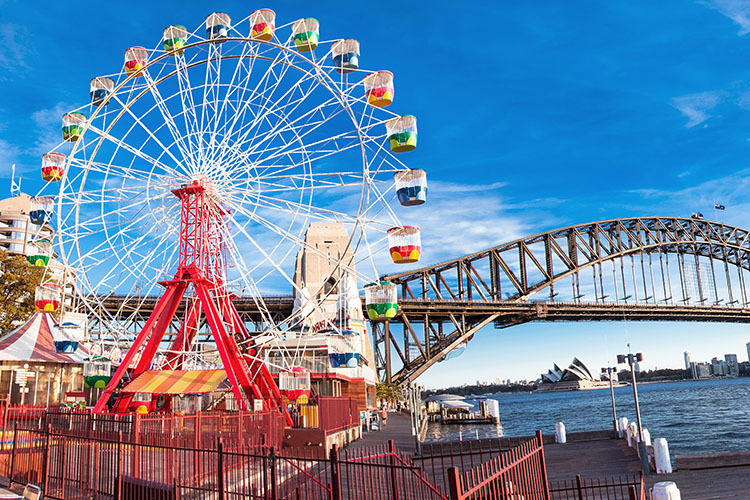 Are you even surprised that we added Luna Park onto our list of the top Sydney attractions for kids? Kids love fun! Luna Park is perhaps the most apt place in Sydney for exactly that. It has a variety of rides for your little ones to enjoy. And then there is the incredible Coney Island, full of laughter and fun with an amazing view over the harbour. The numerous side shows and contests which the island offers are an added bonus for your children to participate in. 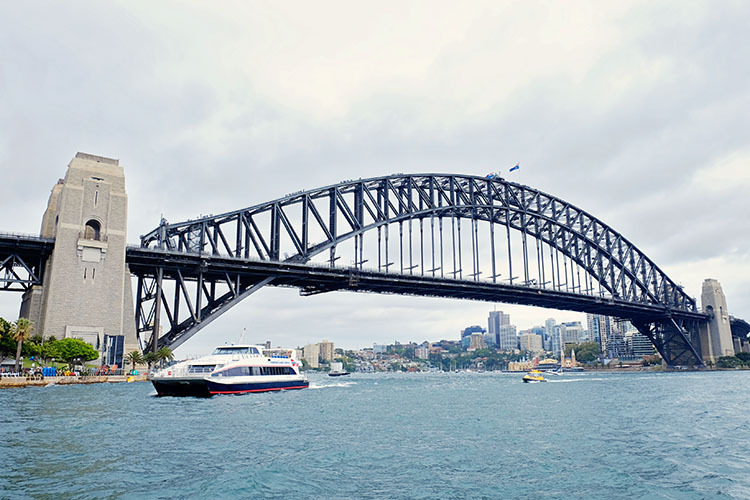 We strongly recommend the beautiful Sydney harbour that gives you an opportunity to take a ferry ride across it and explore the calm sea in between. Various passing cruise ships and big shipment vessels are a guarantee to inspire awe in the minds of the young explorers. What is even better is the fact that all this is available for a mere $2.50 per person. Indeed, a very small price to pay for a wonderful experience of a lifetime. Perhaps unknown to the general world, Australia’s history has been tumultuous. A rich history unexplored and waiting for the world to see. A continent built by the toil of prisoners and convicts. Out of the 11 convict sites in Australia, 4 are present in Sydney. 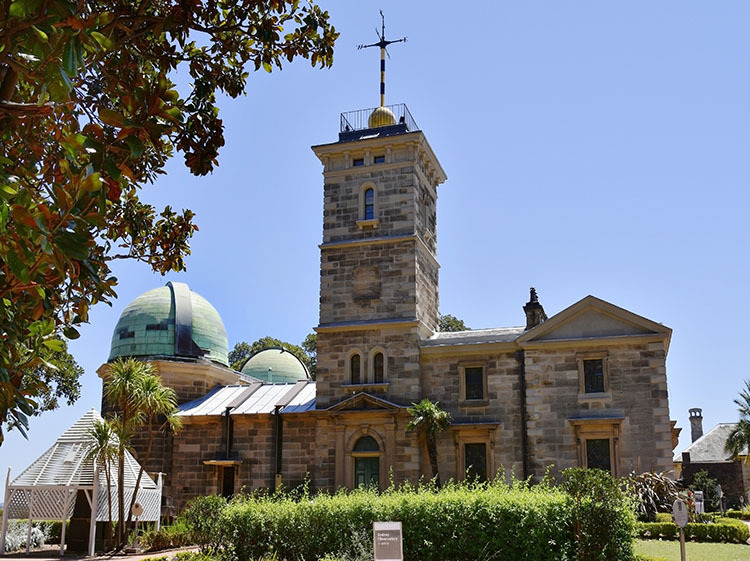 They are usually open to the public on most days of the week and they offer a glimpse back to the past when modern Australia was being formed by the sheer will of the convicts. 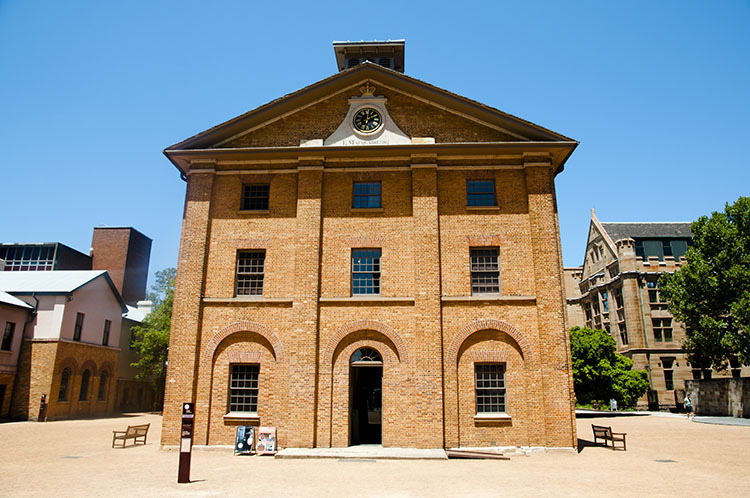 Hyde Park Barracks costs $12 per adult, and families are $30 (kids under 5 are free). It is the birthplace of many actors from Australia who are now working as prominent actors in Hollywood. Remember Mr. Hemsworth as Thor? He is Australian. Then you have Hugh Jackman, Nicole Kidman and many more. Kids love superheroes, don’t they? I know I do. Here in Australia, they get to see where ‘Thor’ was brought up. You will need to join an organized tour to visit the set, but surely it is a chance that must not be missed! There is a little stargazer in all of us, especially our kids. This fascination can lead you and your family to wonderful new adventures across the city. Your kids can learn about airplanes, physics of the solar system and watch stars at an observatory. 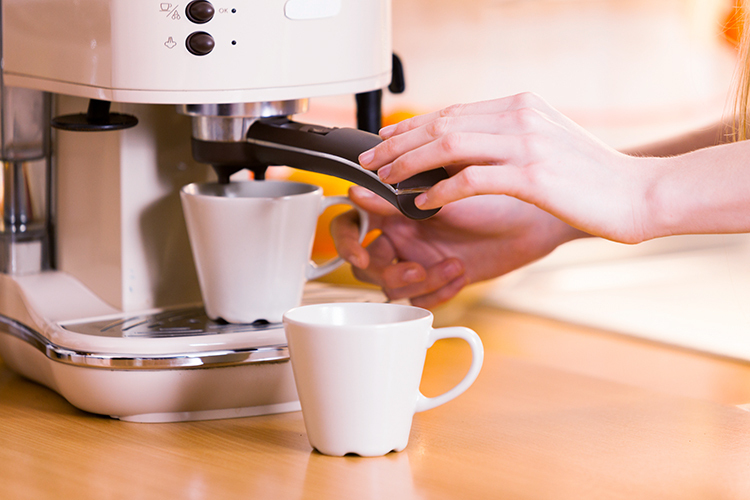 You can find info on the latest prices here. Who would have thought that Sydney of all places would have an ice skating rink, right? But the city is fast growing a reputation for ice skaters who enjoy ice skating indoors in state of the art facilities. Have you ever heard of the Parramatta Winterlight Festival? It is one time when you can go ice skating outside! Some of the best ice skating rinks around Sydney are the Macquarie Ice Rink, Canterbury Olympic Ice Rink, Liverpool Catholic Club Ice Rink, Penrith Ice Palace and the Ice Zoo Sydney. And if the kids do get bored, there is always iFly to up-the-anti. It is a thrilling place where you can skydive, but safely on the ground in a wind tunnel, because safety is paramount, is it not? Below are some suggested things to do in Sydney with kids that won’t cost you any money. 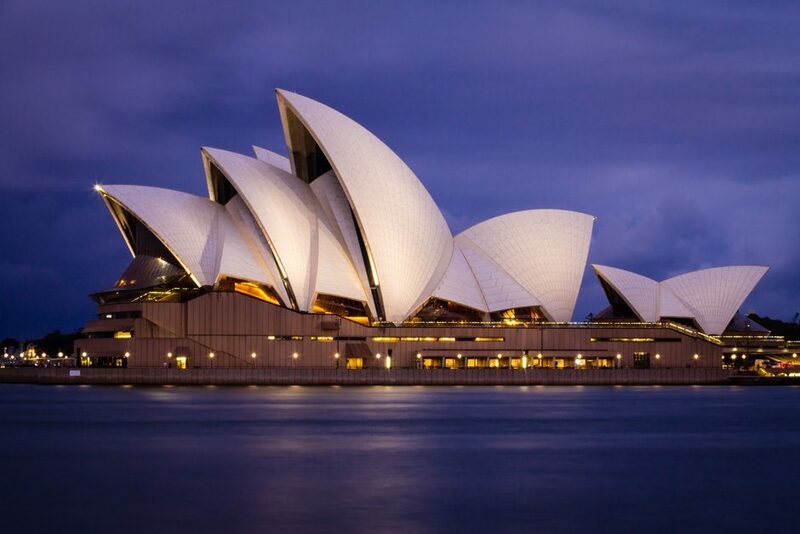 The great Opera House of Sydney is one of the most influential architectural marvels of the 20th century. It is also enlisted on the UNESCO World Heritage List. It is not always that you can visit world heritage sites, let alone with your kids. Every year it hosts several shows for children, more than they host operas. Our kids loved visiting the world-famous Sydney Opera House! 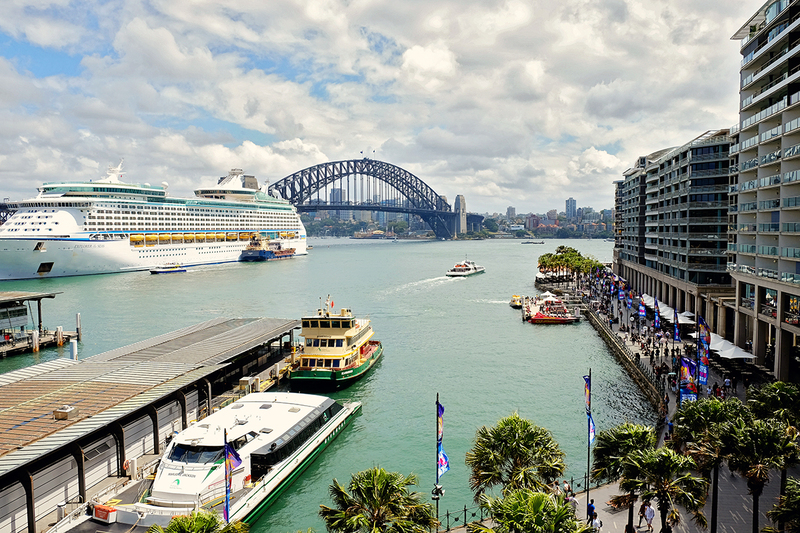 The circular quay is the original foundation site of the city. It is an active hub located at an opportune place in the heart of Sydney. I say opportune because the locals regard it as a gateway to the city. One side of the quay leads to the Sydney Opera house and the other to the Harbour Bridge. How convenient is that, right? You could also take your kids and stroll in the area and find many street performers performing their art. All this running and exploring will tire out everyone eventually, even the most energetic and lively of children. In comes the great Darling Harbour. A must visit place if you want to gorge on delicious cuisines and food from all over the world. The streets are full of Indian, Chinese, Thai, Continental, American, and Mexican cuisines. No kid will walk away dissatisfied, this we promise. You can also find a beautiful fun park in the area, as well as a carousel (which costs a few dollars). Sydney is located on the edge of the Australian continent and therefore is blessed with a number of good beaches. They sprawl tens of miles and you can always find a private place for yourself and your young ones to enjoy. You can explore the shores together, go swimming, ride a jet ski or lie down and soak in the sun. Walking is one of the most beneficial exercises for the body. Every parent wants their kids to adopt a healthy lifestyle. What better way to instill this habit in your kids than to do it with them? 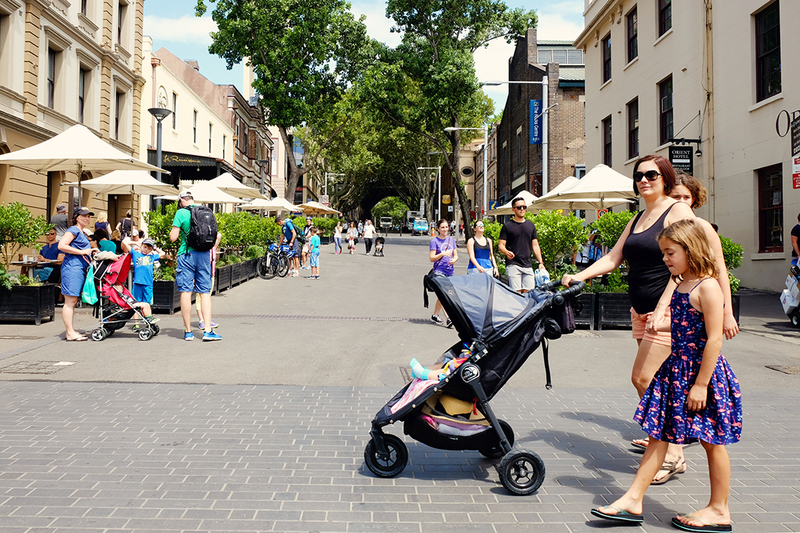 You can put on a pair of sneakers and start strolling around the city with your little ones. A city surrounded by water offers many ideal places for sightseeing. Fortunately, a lot of options present themselves in the form of beautiful bridges. A fulfilling walk on any of those bridges is not only good for the body but also soothes the mind. 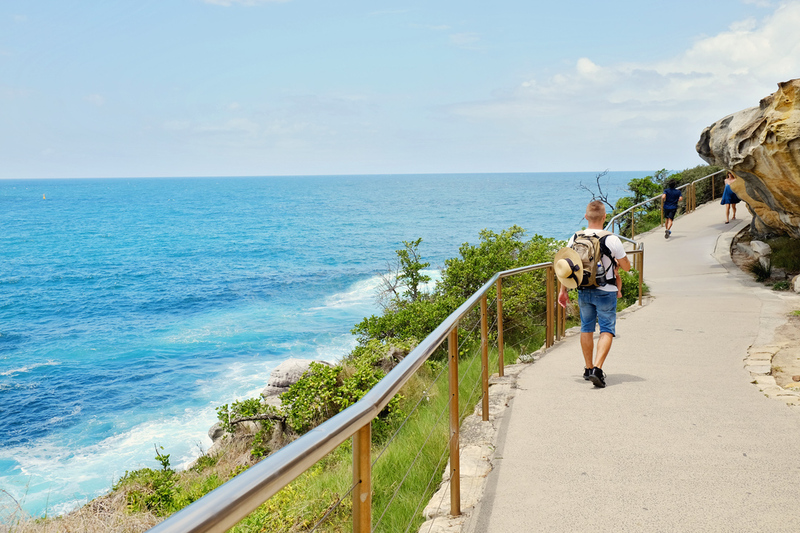 Popular walks include the Bondi to Coogee walk, Brick Pit walk, Federation cliff walk and the famous Spit Bridge to Manly walk; always invigorating and fulfilling. Playgrounds are a great place for fun, family and bonding. Children enjoy visiting one and spending quality time there. This not only gives you a much-needed break but also provides a great opportunity for your kids to socialise and make new friends. 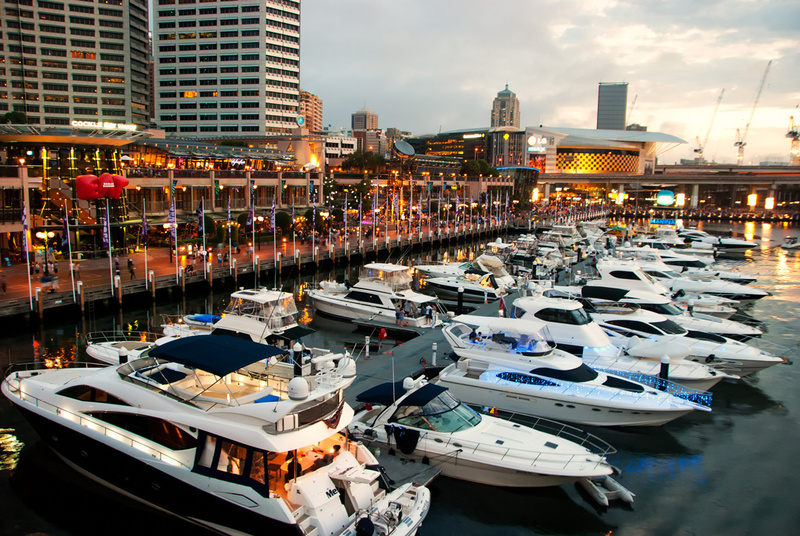 There is certainly no dearth of options around Sydney to choose from. We recommend the Farfield Adventure Park which is a great spot for teens and kids alike. There is always an activity to choose from at Farfield. And if you’re looking for someplace less adventurous than Farfield, you must visit the Sydney Park and Blaxland Riverside Park which are suitable for all ages. Do you have kids who enjoy a good ghost story once in a while? Sydney offers plenty of haunted places to choose from and visit. Although not all are recommended for your kids, we are sure you would find one which suits your family. Some of the better places are the Quarantine Station, Macquarie Fields Train Station, Gladesville Mental Hospital, Callan Park, Studley Park House, The Rocks, Central Station Ghost Platforms and our favourite, The Street with No Name. There are rumours of strange vibes felt by dogs there and weird sounds heard nearby. 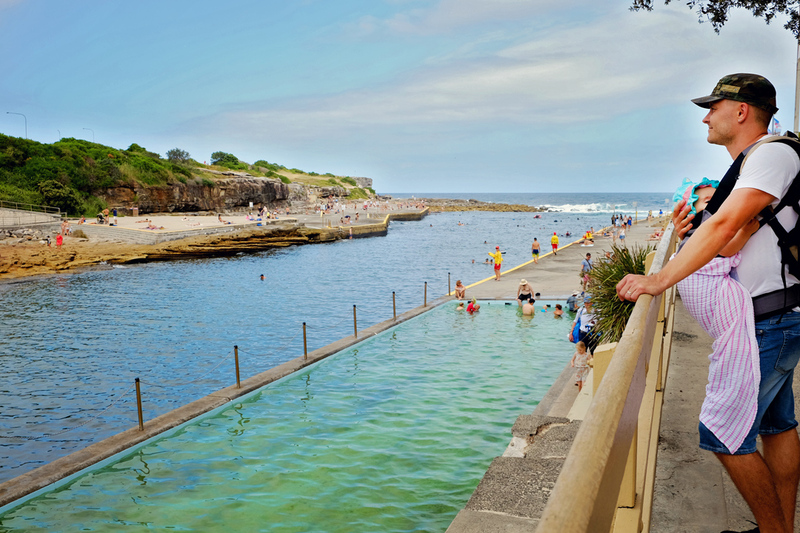 Most of the locations in Sydney are discoverable by tourists. But there are some, about which, the locals would be slow to tell you. Perhaps the locals want all the tranquillity to themselves or they are just unwilling to share these beautiful spots with others. Don’t worry, we have got you covered. Places like the Wendy’s Secret Garden, the Auburn Botanic Gardens are a joy to venture in and relax your mind. And of course, the beautiful Parramatta Lake. You simply cannot miss them as they promise you a great time with the kids. A festival like no other, it runs for 23 days each winter. There are a plethora of installations all around the city to bring it to life at night. These installations offer a great range of activities to experience with your kids. Places like the Luna Park, Taronga Zoo, and the Botanic Gardens, all come to life at night. It is undoubtedly one of the most beautiful festivals you’ll witness in the world. And finally, we recommend to you the majestic Blue Mountains. They are situated in a region of west Sydney in New South Wales. There is also a cable car service from atop the peaks. You can easily visit the Blue Mountains on your own or if you wish, you can take an organized tour instead. Your eyes will gorge on beautiful scenery, and together with your family, you’ll be close to nature and closer to each other. The world of opportunity awaits if you plan on flying with kids to Sydney. For every second in the hot Australian sun, you’ll have plenty of gardens to shade you. For every mad ride at an amusement park, you’ll have lakes and mountains to bring you tranquillity and a sense of togetherness with nature. A holiday well spent with your family and memories to cherish for a lifetime. Connect with Mum Knows Best! 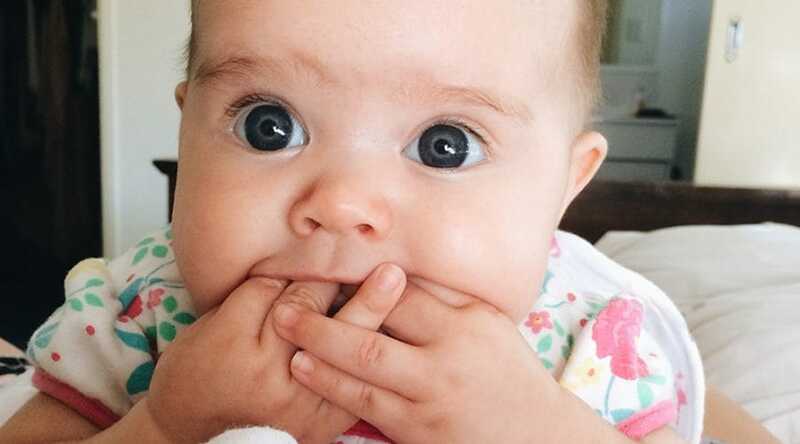 Reasons why Australia is a great family-friendly destination to visit. 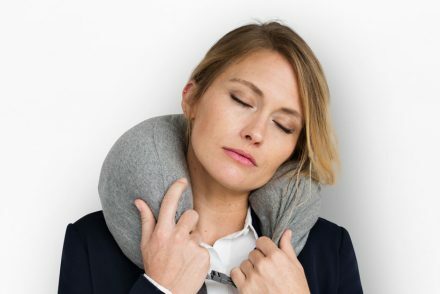 How to find the best travel pillow for your long-haul flight to Australia. Originally from South Africa, now living in Australia, Jolene is a wife and a mother to three beautiful daughters. She runs a business from home and knows what it is like to juggle the responsibilities of being a mom and a home business owner. 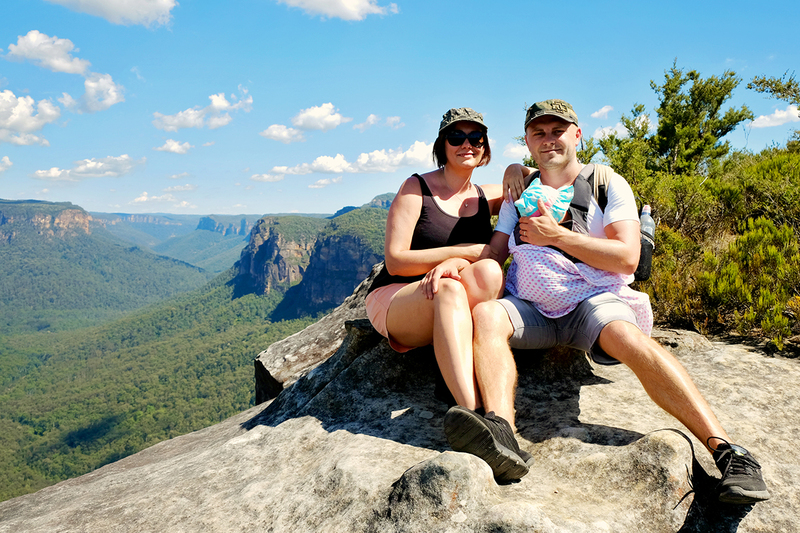 She shares her journey, her tips and her guides to help other mums here in Australia. Amazing List! Thanks for sharing. Sydney is a perfect place for family activities. Our Guide to Help you Choose the Best Baby Carrier for Your Needs! Hi there! Welcome to "Mum Knows Best". I am a mum to 3 beautiful girls & I also own and run 5 websites. I know how busy mum-life is and I understand the challenge of juggling. 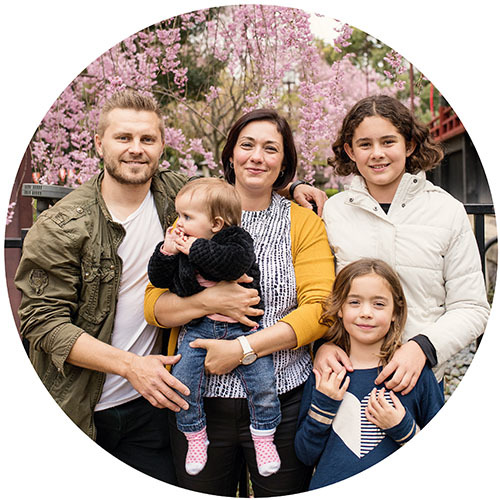 So I created this website to help mum's learn more about what is best for their home, their kids and their lifestyle. Because after all, all we all want is the best for our kids right! ?